Roanoke in Virginia&apos;s Blue Ridge is one of the best scenic places in America to retire, according to a recent ranking by Forbes. The website created a list of "25 Great Scenic Places to Retire in 2017" and Roanoke was featured on the list, alongside well-known destinations like Asheville, Charleston, Portland, San Francisco, San Diego, Salt Lake City and Seattle. 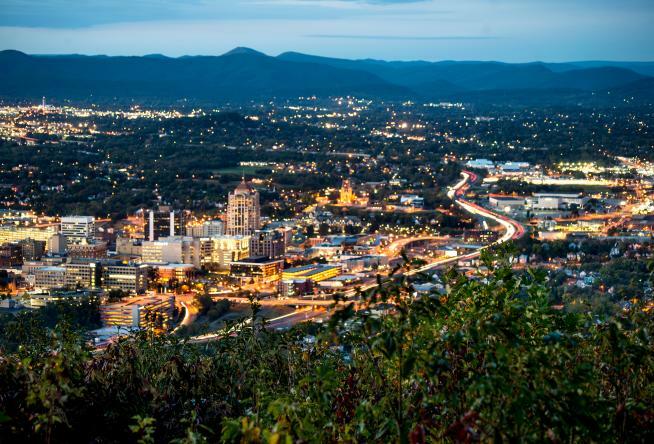 Roanoke earns a spot on the list due to the surrounding scenic beauty of the Blue Ridge Mountains, relative proximity to Washington, D.C., and a cost of living that&apos;s below the national average. "Above-average rank on Milken Institute list of best cities for success aging. Good air quality. Mild climate. Serious crime rate below national average. No state tax on estates or Social Security benefits." Roanoke is becoming increasingly known for its quality of life for residents of all ages. In addition to this recognition from Forbes, the city was also recently named one of "25 U.S. Cities That Millennials Can Afford" by The Penny Hoarder, and was voted the "Best Place for Outdoor Singles to Live" & "Best Place to Raise an Outdoor Family" in the Best of the Blue Ridge Awards by Blue Ridge Outdoors Magazine. Visit our Awards & Accolades page to find out other honors Virginia&apos;s Blue Ridge has received. You can also see the full "25 Great Scenic Places to Retire in 2017" article on the Forbes website.